I found this week’s episode of Breaking Bad to be frustrating. I do think that it would play well within a DVD set, but self-contained, as the episode for the week, I had to admit that I was kind of left sputtering Comic Book Guy-style. The fact that the episode was centered around killing a fly in the lab and the slapstick of that, well, that was simply tiring. “4 Days Out” was self-contained as well, but also interesting, because they thought that they were going to die. There were stakes. This was just metaphor spinning in circles. Walt’s speech about the “perfect time to die” was wonderful. Went with the character. (I buy Cranston’s speeches a little bit more than Aaron Paul’s. Cranston makes them sound more natural. You forget about the writing.) 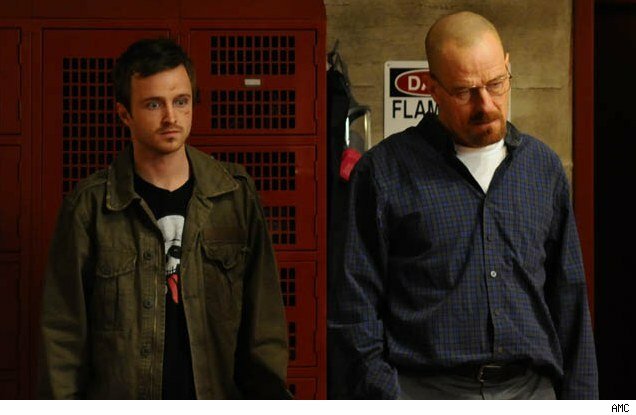 The speech from Walt - doped up on Jesse sneaking Truth Serum Sleeping Pills in his coffee - summarizing most of the series up to that point? It didn’t seem natural. The showy direction by the guy who did Brick and the Brothers Bloom didn’t really add anything significant, and it was terribly paced, even boring. Whatever plot I got out of the episode, as they were leaving the lab, that was well-done. But this episode was pretty much Breaking Bad doing Mad Men - heavy and slow, laden with metaphor that something may happen but probably won’t - and that’s not where the show’s strengths lie, I think. Let that symbolism serve life and death and plot.